£50m for Luis Suárez? Yes please! If the reports are true and Real Madrid or Atletico are willing to cut a check for £50m for striker Luis Suárez, then there is only one thing that Liverpool needs to do: not hang up the phone until the deal is complete. The mecurial Suárez, who this season became more trouble than he is worth despite scoring 23 goals, let it be known on Friday that he wants out of Liverpool, out of the Premier League and out of England. And as long as someone is willing to pay the price, Liverpool should do everything it can to grant him his wish. 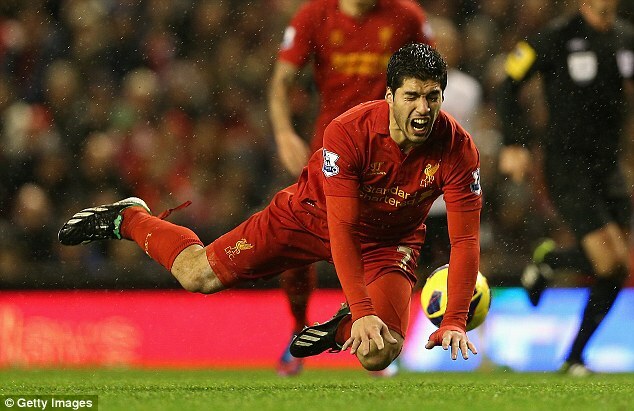 Suárez at first blamed the British media for forcing his hand in requesting a move. On Sunday, he added British Prime Minister David Cameron to his enemy’s list. Things have gotten so absurd with Suárez that after receiving a 10-match ban for biting Chelsea’s Bransilav Ivanovic (an bizarre act in and of itself), Suárez was criticized by none other than Zimbabwe President Robert Mugabe. When one of the world’s worst dictators is criticizing your actions, it may be a sign that you have a problem. Club officials deny they are willing to sell Suárez. Obviously the club is going to publicly say they want to keep Suárez, but you have to wonder what they think in private. If they do decide to move on from Suárez it is vitally important that they don’t squander the money the way they did when they let Fernando Torres leave in a transfer deal with Chelsea. Liverpool turned the £50m they received for Torres into Andy Carroll, Charlie Adams, Stewart Downing and Jordan Henderson as the club’s owners tried to let the analytics guys call the shots – with less than exciting results on the pitch. Downing scored three goals this season and Henderson had five. Carroll (West Ham) and Adams (Stoke City) are no longer working the pitch at Anfield. (For a Cleveland comparison, look at the second round of the Browns NFL Draft). The club is only going to get so many chances to reap a windfall from selling players (hopefully they will soon start winning and selling won’t be an option) and if they make a move with Suárez it has to pay off. Because if it doesn’t, not qualifying for the Champions League may be the least of the club’s worries.